Funeral Director: Can Be An Excellent Career Choice! Becoming a funeral director can be an excellent career choice. Despite the stereotypical depictions in movies and on television of ghoulish and strange individuals, most funeral directors are, in reality, compassionate businesspeople dedicated to caring for the grieving. They are there with comfort and essential in what is the greatest time of need for many clients and their families. Funeral directors are educated in their field, hardworking, and knowledgeable about all traditional and modern burial and remembrance practices. The decision to make a career out of funeral direction and related activities is a challenging but rewarding one. 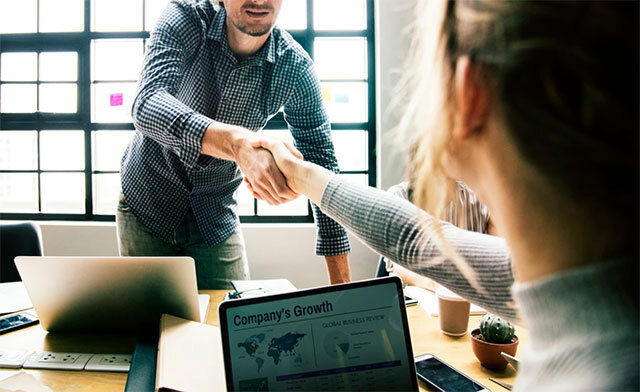 An accomplished, properly educated or experienced director can usually find steady, profitable employment with a respected business in the community. Funeral directors can begin preparing for their careers while still in high school. Courses in science, biology, bookkeeping, art, sociology, speech, and business subjects are all useful in building a foundation for this profession. For instance, psychology courses can provide a better understanding of the grieving process and peoples' actions while under the stress caused by the death of a loved one. Most funeral directors complete a two-year or four-year college program. Many major in business and economics but psychology, sociology, and other behavioral sciences are popular also. In addition, private vocational schools offer special programs in mortuary science. These courses of study typically take one-to-three years to complete. A few colleges also offer two- or four-year programs specifically in funeral services, and these may fulfill many of the requirements otherwise covered in college and trade school. An apprenticeship (sometimes called an internship) is a critical step on the path to becoming a funeral director. An apprenticeship allows the professional in training the opportunity to put his or her skills and knowledge into practice and further develop them. The durations of apprenticeships vary by state and other factors, but these appointments usually last from 1 to 3 years. During the apprenticeship, the licensed funeral director (often the owner) will serve as a mentor and help guide the apprentice. As an apprentice, you should expect to assist in funeral arrangements and planning, embalming, office administration, acting as a host at the funeral home, care of the funeral home and vehicles, and much more. An apprenticeship allows the funeral director trainee the opportunity to gain practical experience by continuing to learn after completing an education course of study and extensive vocational training. Although it is helpful to serve an apprenticeship after graduation, in some states it is not necessary or required. All U.S. states require funeral directors to be licensed in some manner, however. Requirements vary by state, but most require a person to be at least twenty-one years old, a high school graduate, and a graduate of a school of mortuary science or funeral service. The candidate must also pass a state board examination. In some states, continuing education is required to maintain a license. Most funeral directors also get an embalming license. Another stereotype that should be debunked regarding funeral homes is that all are family businesses with limited employment opportunities for those outside the family. This may have been the case in the past, but many funeral homes and funeral service companies today are large enterprises with multiple locations and dozens or hundreds of employees. Most schools that train funeral directors have placement services to help graduates find appropriate positions, and there are numerous industry professional associations and career websites that are good resources for job leads. Career advancement in the funeral industry is possible and common for funeral directors. Some can become managers in either a family-owned or a larger funeral enterprise. Some buy an existing funeral home or found and start a new one. Further, there are alternate career paths within the funeral industry, such as pre-need insurance sales, bereavement counseling, and overall customer service. Funeral homes are usually attractive and well kept. They range from small frame houses to large, modern buildings. The work of the director can require varied hours outside the typical 9-to-5 workday, including evening and weekends. Funeral services or meetings outside the regular workday are not uncommon, and funeral directors often work over 40 hours per week. Hours are irregular because there may be slow periods followed by a series of funerals within a short time. In larger funeral homes, multiple directors may work in shifts or be assigned to different client profiles. The main function of the funeral director is to oversee funeral services, burials, and memorial services. Once notified of a death, they arrange for the body to be moved to the funeral home. At this stage, and depending on the circumstances, the information needed for the death certificate and newspaper death notice, or obituary, is collected. The director and a planner often meet with the family of the deceased to discuss options for burial or cremation and funeral services. 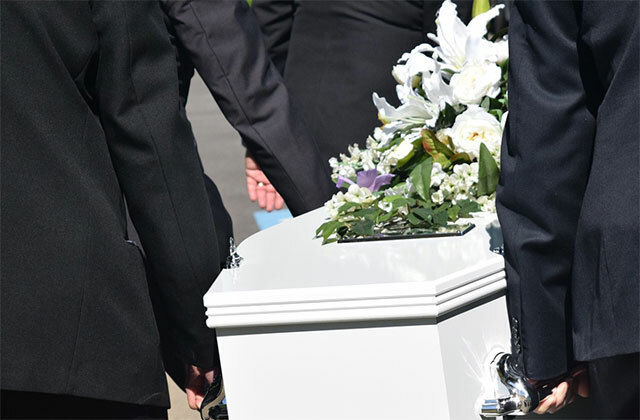 Funeral directors help the family choose the time and date for the service, arrange for clergy to conduct any religious services, choose pallbearers, and make other key decisions in this time of grief. Options presented can include secular memorial services and other types of non-traditional remembrance gatherings. It also may be necessary to arrange shipment of the body to outside the region or even outside the U.S. Once plans have been made, directors and their colleagues at the home contact churches, cemetery officials, florists, the clergy, and the newspapers. As we mentioned earlier, funeral directors must be knowledgeable about the funeral customs of various religious, ethnic, and fraternal groups. They must also be familiar with local, county, and state laws dealing with the proper removal, burial or cremation of the body. Since many directors are also licensed embalmers, they may prepare the body for viewing, burial, or cremation. Traditional funeral services and burials require the selection of a casket and a vault or plot before the service. Funeral directors must also be familiar with U.S. military traditions for veterans, which sometimes include the attendance of a color guard and the draping of an American flag over the casket. Cemetery services require the arrangement of the grave digging or vault placement before the service. Remains from cremation can also be buried in cemeteries. Personal interaction with family members and friends of the deceased includes the initial communications immediately after death has occurred. Some funeral arrangements may have been made ahead of time, but some decisions will remain. Then, during the funeral or memorial service, funeral directors greet and comfort the family and friends of the deceased and make sure that the services run as planned. They also arrange transportation to the cemetery or a crematorium for the family and pall-bearers. The director may lead the funeral procession to the church or cemetery, and in some cases, they may help coordinate the service itself. If burial is to occur in another geographic location, it is often the funeral director's job to oversee all preparation and shipment of the body. Funeral directors must be intelligent and academically disciplined because the preparatory coursework is rigorous. Someone under the emotional duress of planning for a funeral can be highly sensitive emotionally. A director must balance insensitivity and authority to be successful. They must be effective communicators and excellent listeners able to work with people of diverse ages, ethnicities, and beliefs. Remember that work in funeral services involves confronting mortality on a daily basis. A more in-depth perspective on death and life comes with the territory. It’s a job for those with a deep, abiding interest in and understanding of the human condition. Funeral directors must have a strong constitution and be physically able. They must shed what is for many a "natural" aversion to working with the remains of the dead. In the embalming process, preparation of the deceased is similar in precision and detail to the work of a surgeon. Knowledge of proper medical sanitation regulations is required for the handling of tissue and internal organs. Accomplished funeral directors need good business acumen and organizational skills to be successful. Planning funerals and burial arrangements can involve a plethora of detailed assignments that should be executed with precision. The director of any complex enterprise should be knowledgeable about basic accounting practices, business management, and market trends. Despite long hours, challenging work and the necessity of confronting emotional suffering among clients, being a funeral director has some very notable rewards. The funeral industry is one of the most stable of all modes of commerce, and it offers a strong likelihood of steady employment during an entire career. The work is varied and often fast-paced. Funeral directors must draw on a tremendous amount of knowledge and experience in the fields of medicine, business, psychology, and religion. They have tremendous opportunities to provide comfort, support, and closure for family and friends of the deceased. They can impact people's lives positively during one of the most challenging times human existence ever presents. Often, funeral services and memorials are touching, life-affirming events. The funeral director can be an indispensable part of a tribute to a cherished loved one. Many professionals who choose this career path are drawn to their work for the ever-fulfilling satisfaction of honoring the dead and simultaneously celebrating their lives.